For two months, I followed the platforms and pitfalls of the three leading mayoral candidates in one of Canada’s fastest growing – and B.C.’s second largest – city. And at times, that seemed to both mean a lot, and very little. Overall, it was exciting. Much was learned about how the city balanced – or failed to balance – its budget. 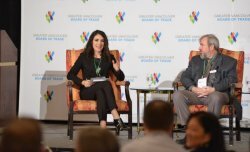 I spoke to local business leaders about their vision for Surrey, and deciphered crime stats to code a clearer picture of how safe the city really is. 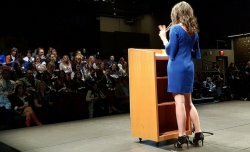 Following the coverage in local and regional papers as they interviewed candidates, covered debates and followed political follies lent the past two months a sort of frenzied energy. And as Nov. 15 drew closer, expectations seemed high, and the elections tied three ways. In the end, it wasn’t close. A tight three-way race for the leadership seat between two councillors and a former mayor was actually a full slate sliding into first, with the votes of the eighth councillor elected outnumbering those of the second-place mayoral hopeful. But somehow, it felt closer. Whether it was the polls, or the media coverage, or the fact that municipal politics seem to get personal, after close to a decade under one leader, Surrey appeared to be indecisive about which direction to head next, with no shortage of possible answers. Appearances, however, can be misleading. Especially during silly-season. 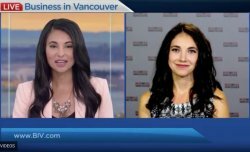 Part four of my four-part series with Business in Vancouver is available here. A final piece for the final results, as they rolled in late Saturday night, is here.